vsftpd (Very Secure File Transport Protocol Daemon) is a secure, fast FTP server for Unix/Linux systems. In this how-to article, let us see how to setup a basic FTP server on CentOS 7. However, this procedure might work well on RHEL CentOS, Scientific Linux 7 version too. My testbox server hostname and IP Address are server.unixmen.local and 192.168.1.101/24 respectively. Change these values to match your scenario. Allow the ftp service and port 21 via firewall. By default, root user is not allowed to login to ftp server for security purpose. So, let us create a normal testing user called “sk” with password “centos”. 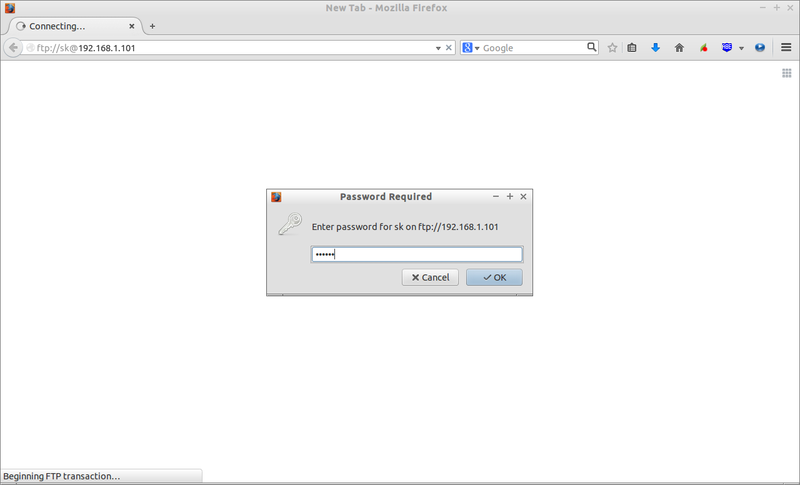 Enter the ftp user name and password. 220 Welcome to UNIXMEN FTP service. Congratulations!! you will be able to login to FTP server without any problems. Let us try to log in to the FTP server from my Ubuntu client system. Voila!! Our FTP server is working. As you may know already, in RHEL 7 and its derivatives the previous firewall system(iptables) has been replaced with firewalld. I find it bit difficult to configure Filezilla along with Firewalld. So I disabled it, and switched back to old firewall system called iptables. I will update this tutorial as soon as possible once I found the working solution. 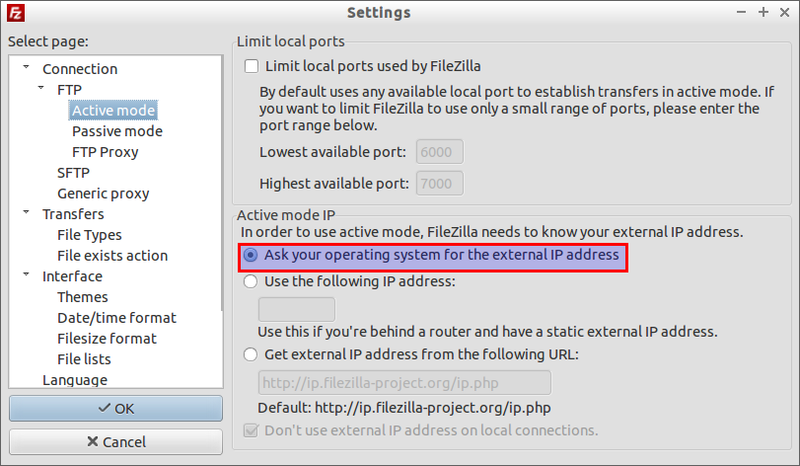 If you don’t want to use filezilla, skip the following steps. First, enter the following commands one by one to disable current firewall system firewalld, and enable old firewall iptables. The following commands should be run on your FTP server, not in ftp clients. Allow the default ftp port “21″ through your firewall or router. In the server side, do the following. Now, go back to your client systems, and install filezilla package. 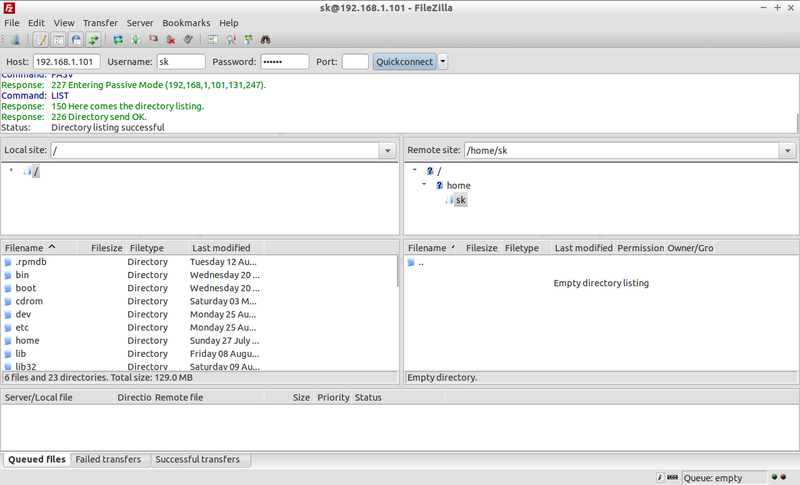 Open Filezilla client from your client system “Dash” or “Menu”. Enter the FTP server hostname or IP Address, username, password and port number. Click “Quickconnect” to login. Probably, you will get the following error. To get rid of this error, do the following steps. In most cases, Resolution 2 should work. 1. 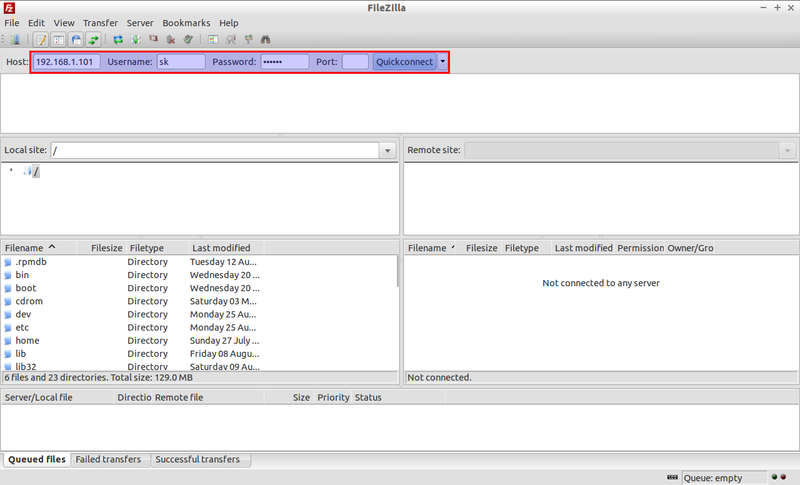 From your Filezilla client, go to Edit -> Settings -> FTP ->Active Mode. In the Active Mode tab, make sure the option “Ask your operating system for the external ip address” is selected. Then goto Edit -> Settings -> FTP ->Passive Mode. 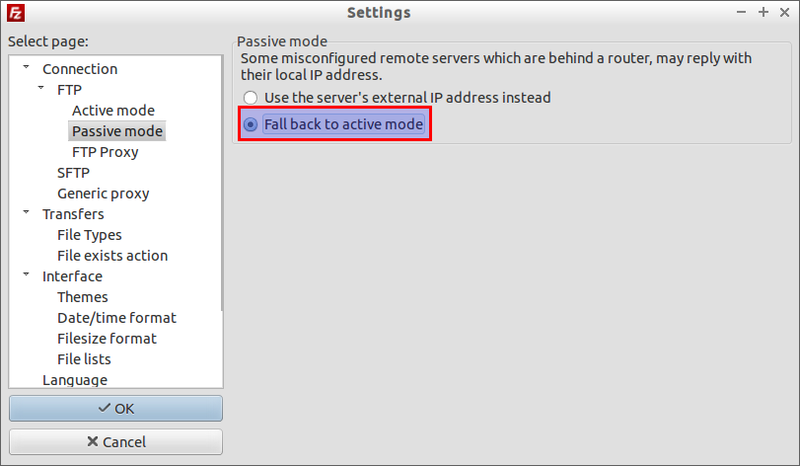 Select “Fall back to active mode” and click Ok.
Now the error will be gone in some cases (May be in Windows OS clients). If the problem still persists, goto your FTP server, edit file “/etc/sysconfig/iptables-config”. Now, try again from Filezilla. You can access the FTP server from your client browser also. Navigate to ftp://FTP-Server-IP-Address/. 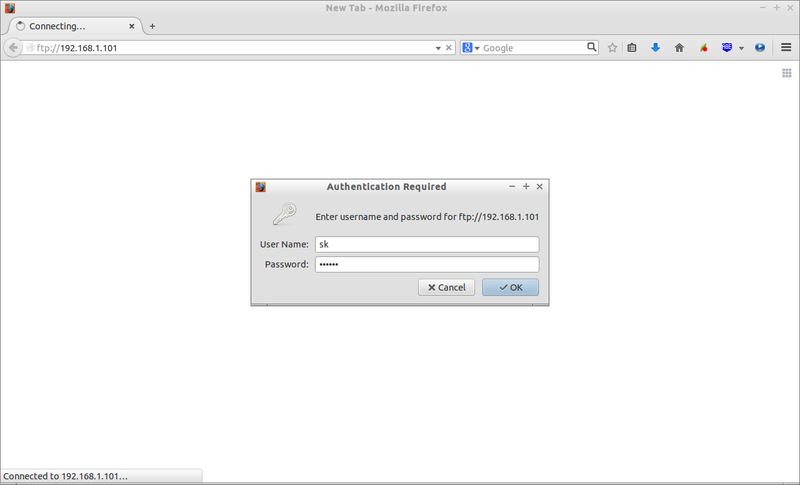 Enter the ftp username and password. 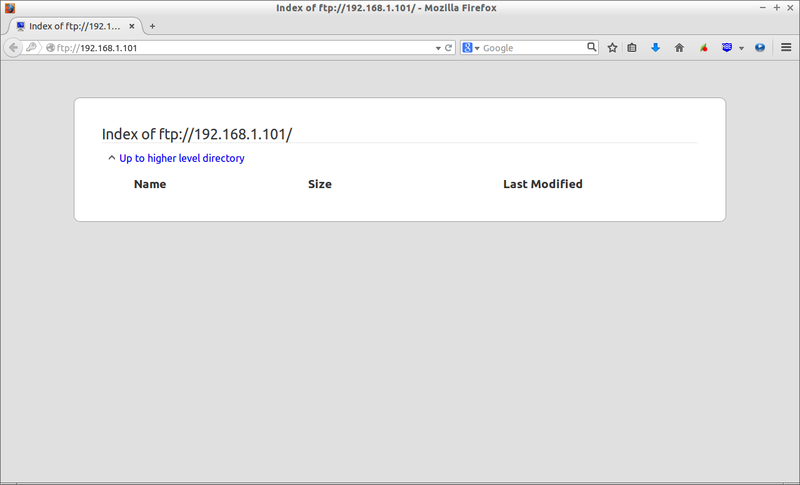 Now you can see the contents in your FTP server. If you want to login using a particular user, then navigate to ftp://username@FTP-Server-IP-Address/. It will ask the password of user, enter the password and you’re done. For example, navigate to ftp://sk@192.168.1.101. Enter the password of the user sk. That’s it.The FTP server ready now. Start using FTP!